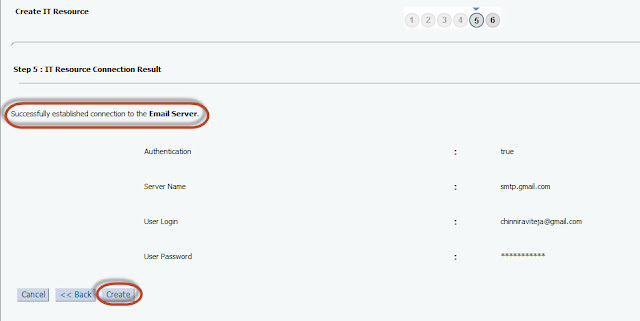 Search for Email Server and verify the value: "Email Server", so we are going to create IT Resource with name Email Server. 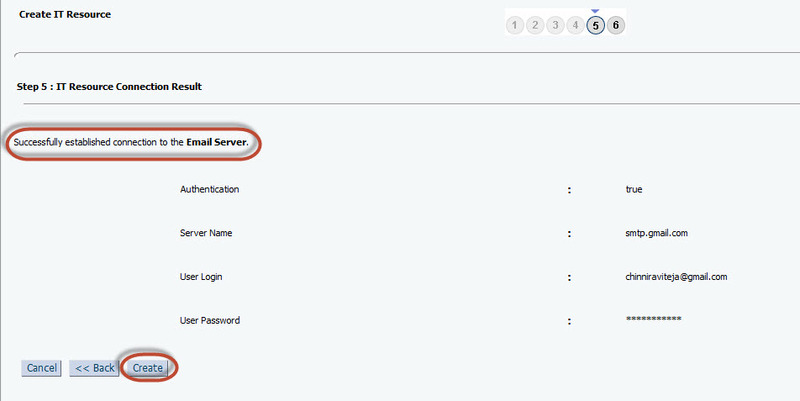 Provide IT Resource name as Email Server, Select IT Resource Type as Mail Server and click Continue. Select Permissions for System Administrator. Verify if connection is successful or not, if yes then click Create otherwise go back and verify username and Password.